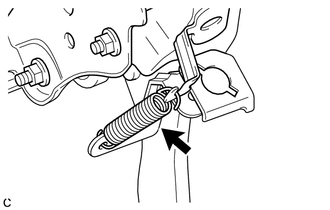 (a) Remove the brake pedal return spring from the brake pedal support assembly. (a) Remove the brake pedal pad from the brake pedal support assembly. (a) Remove the stop light switch cushion from the brake pedal support assembly.